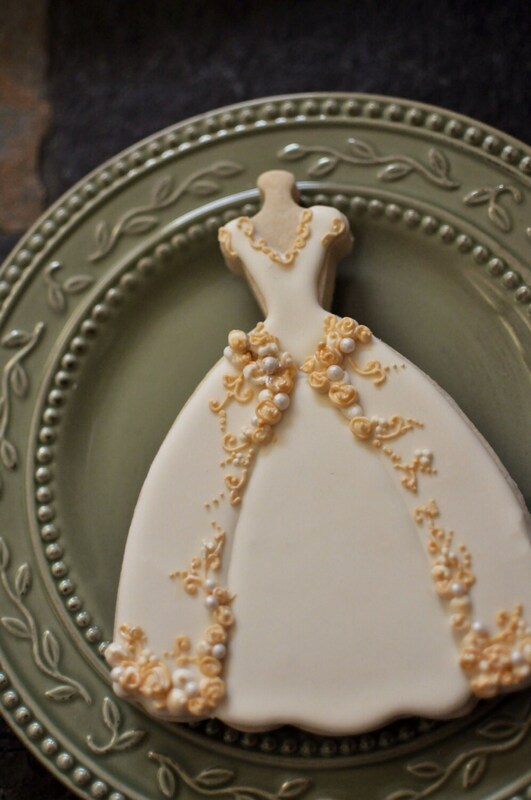 These are wedding gown cookies with embroidery and rosette accents. 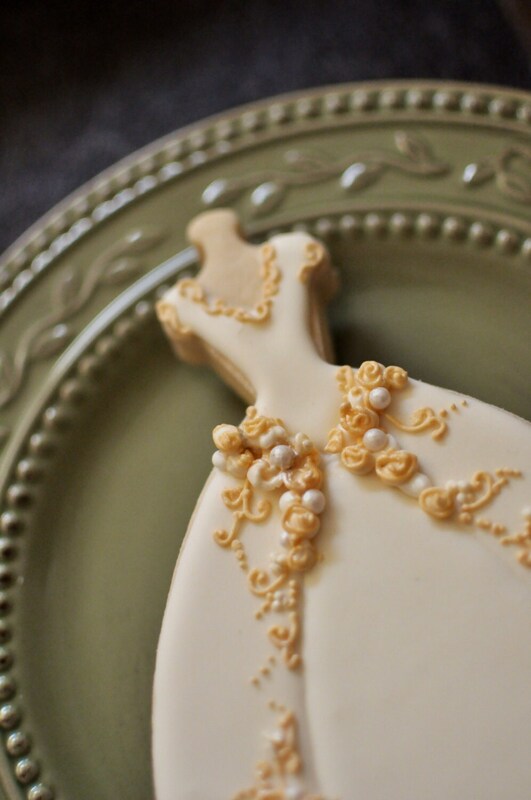 The lace details are finely done so the finish will be just beautiful and elegant and will surely add that opulent touch to your wedding sweets table. The set will have 8 decorated cookies. Each cookie is approximately 6 x 5 inches in size. These are VERY LARGE cookies. Perfect for gifting to your wedding entourage. They are iced with royal icing and finished with shimmery white satin confectionery luster dust. They will be individually wrapped in self adhesive resealable cellophane. I do not package this cookie with a ribbon. Ship fast and pack them greatly! We love these beautiful large cookies. The cookies were gorgeous and tasted wonderful. 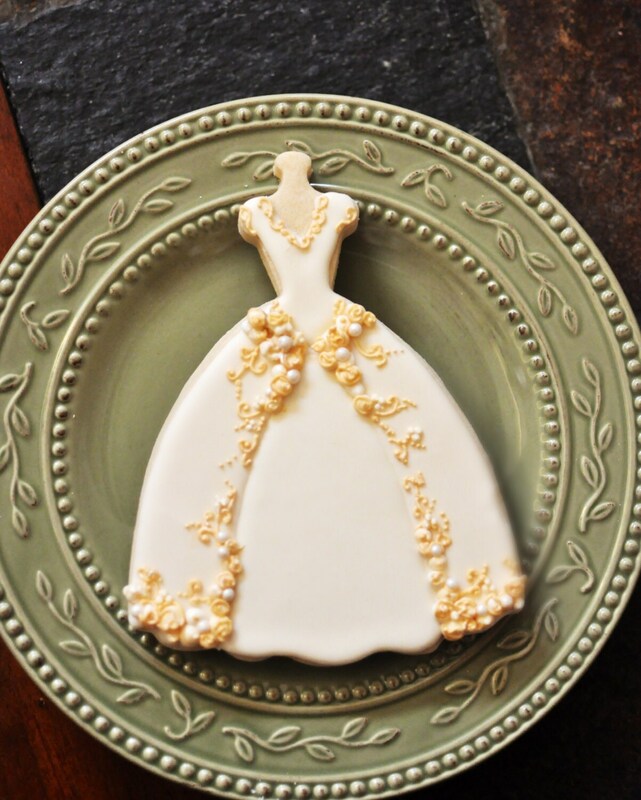 They were the perfect party favors for a bridal shower!